In this book Elizabeth shares her family’s journey through the excitement about her pregnancy and the devastating loss from miscarriage. 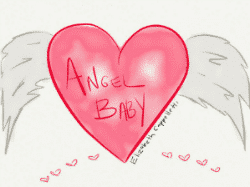 Angel Baby is written from a child’s perspective, explaining and normalizing the many emotions that accompany such a loss. Elizabeth wrote this book to help her own daughter process their loss, as she was having a very hard time with it. However, she did not have the words to share all that she was feeling. This story gives children understanding and hope for what happens to babies when they are not able to be here with us. As a Marriage & Family Therapist, Elizabeth gives a therapeutic approach in her writing that will help your child both process and heal from the loss of a miscarriage. In this book we will share with you the secrets to a happy and successful relationship, the steps it takes to find one, and what you need to now about maintaining such a relationship. Learn how your past effects your present and how important self-care is in any relationship. In our society we often have our priorities mixed up by placing our jobs above all else. Discover just how damaging this can be both to an individual and his/her relationship and family. You have the ability with-in you to have the life and love you’ve always wanted, now you can learn how to make that happen! Raising Healthy Children and Teenagers is one of the most important things that we will ever do in life. How they turn out, how life goes for them, whether they experience joy and happiness because of their inner strength and resources, or struggle with life because of inadequate coping skills is largely in our hands. In this book we discuss three main areas that are crucial to raising healthy children: how you treat your children, what you expose your children to, and what you model for them. These three areas directly affect the overall well-being, behavior, and mental health of your children as well as pave the way for their future relationships. Learn how to build a healthy relationship with your children and how to limit their exposure to negative influences. Learn how your everyday actions impact your children and how to create change that will help you raise happy and healthy children and teens.